You would think that I would be making slow cooker recipes during the week when I am working, but no, I save them for the weekend. I have been dying to try this recipe for a while, and I don’t know what the heck I was waiting for. It was amazing! I didn’t have my husband as a critic this time, hopefully he will try some leftovers though. 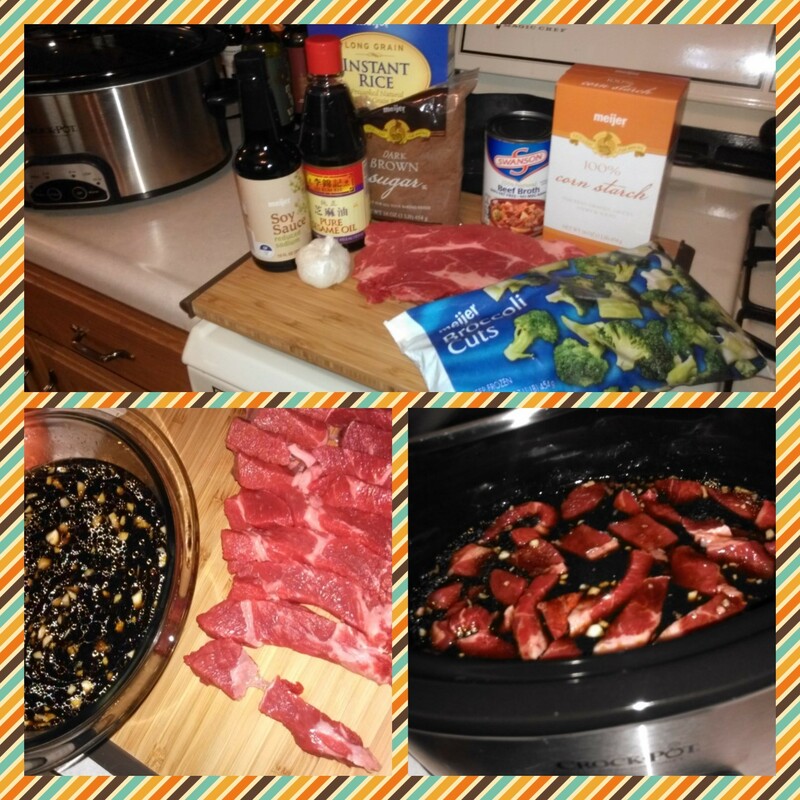 In a bowl, mix together beef broth, soy sauce, dark brown sugar, sesame oil, and garlic. Place strips of meat in crock pot. Pour sauce over the strips and toss them to coat. 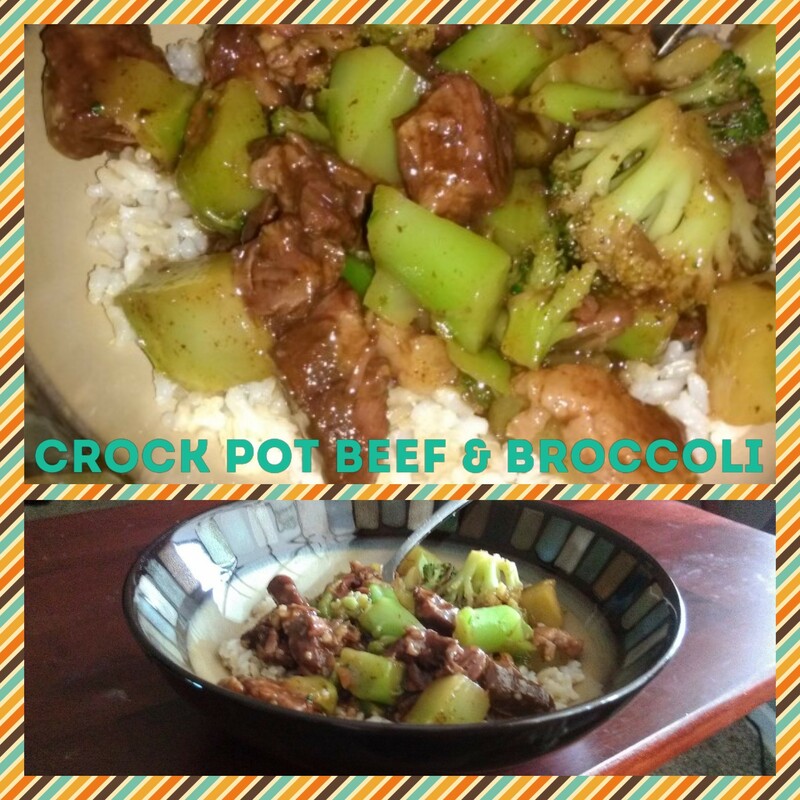 Turn your Crock Pot on low for about 6 hours (mine was done in about 5). With about a half hour left of cooking time, take 4 Tbsp of sauce from Crock Pot and mix with 2 Tbsp of cornstarch, then put it back into the sauce to help thicken. Toss in frozen broccoli (if you put it in first thing it will be soggy and gross!) and continue to cook for about 30 minutes. I need to use my crock pot more! This looks amazing!! I love the slow cooking recipes, the meat tastes so yummy and soft! I loved your recipe!